Built for snow removal on sidewalks, paved walkways and other tight areas, SnowEx UTV snow plows provide professional grade plowing performance for winter service contractors. Designed and built exclusively for utility vehicles, these plows are great for homeowners, residential properties, municipalities, parks, schools, hospitals and government buildings in St. Peters. The 6' wide v-plow easily adapts to handle 5' sidewalks and gates in angle, scoop or V mode. 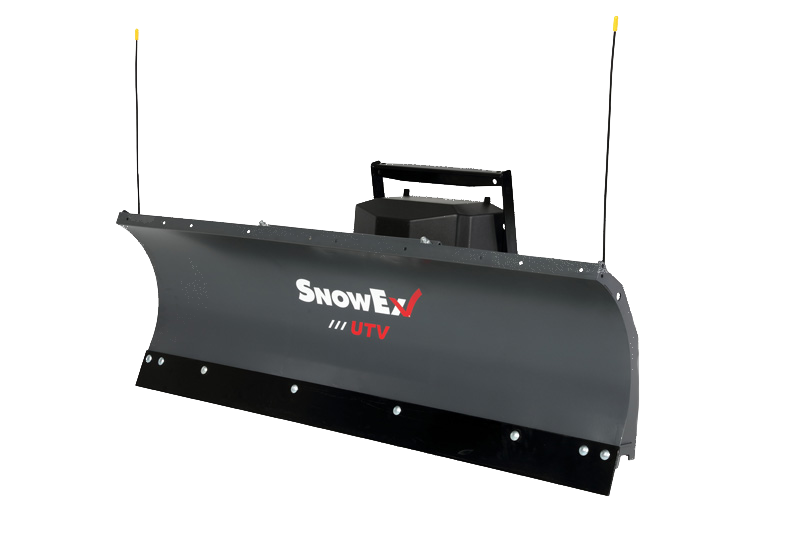 The 6' straight blade is a commercial grade snow plow in a lightweight package allowing it to pair with a wider range of UTVs.